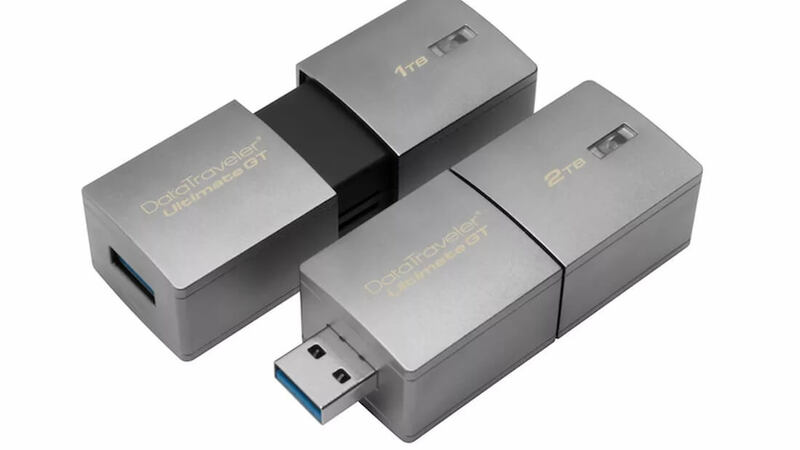 Kingston's DataTraveler Ultimate GT is the world's highest capacity flash drive. Unveiled at CES 2017, this monster flash drive is available with 2 terabytes of solid state storage inside, giving high speed access to a ton of data on the go. To cram so much storage inside the DataTraveler Ultimate GT, the drive is physically larger than most flash drives on the market. To keep the drive durable, Kingston has opted to use a zinc-alloy casing with a sliding protector for the USB 3.0 Type-A port. If you have recently bought a laptop that only has USB-C ports (like the current-gen MacBook Pros), you'll still need that dongle to use this drive. Kingston hasn't revealed how much the 2TB DataTraveler Ultimate GT will cost, although it will be available in February. Considering 512GB flash drives currently cost around $200, this 2TB drive could be several orders of magnitude more expensive. It certainly won't be something that everyday consumers will be able to afford. A 1TB version of the DataTraveler Ultimate GT will also be available, presumably at a lower but still expensive price point. It too will be available in February with a largely identical design.